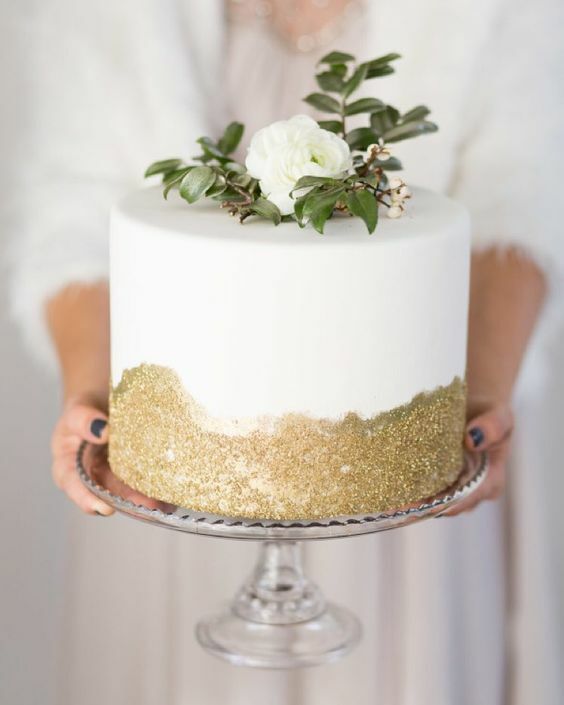 The couples that are getting married this winter are head over ears in preparations, and today’s roundup is to help them. 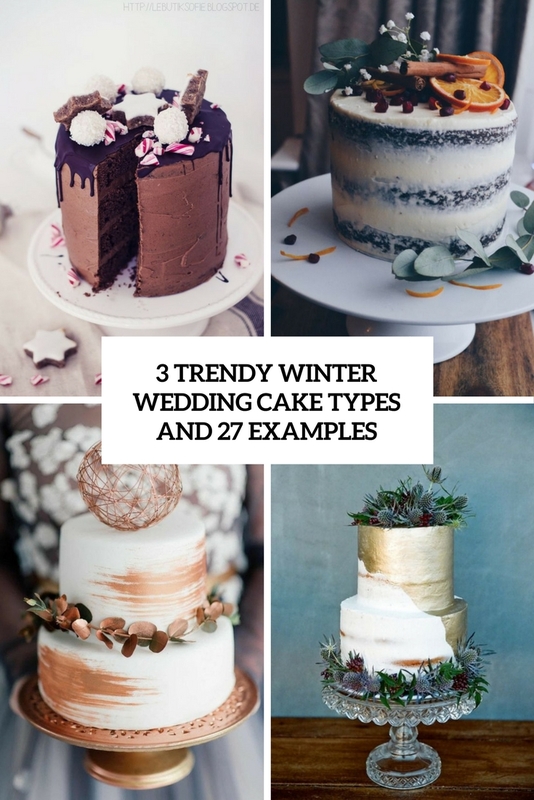 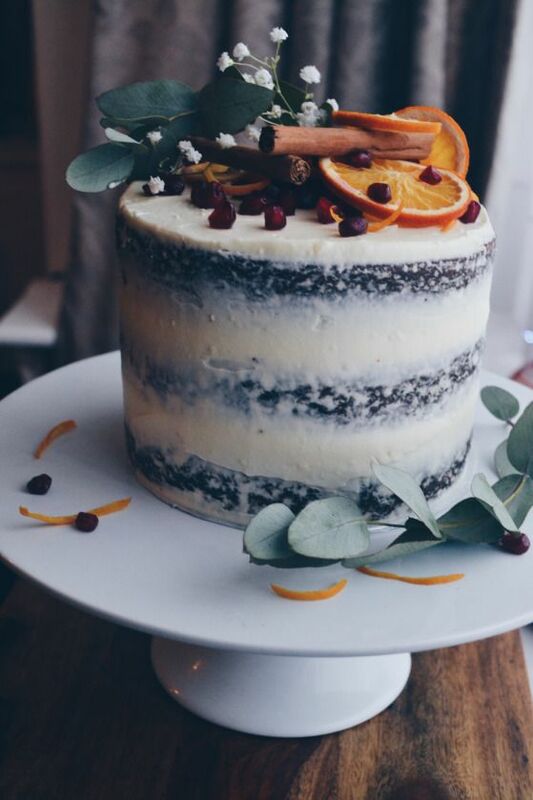 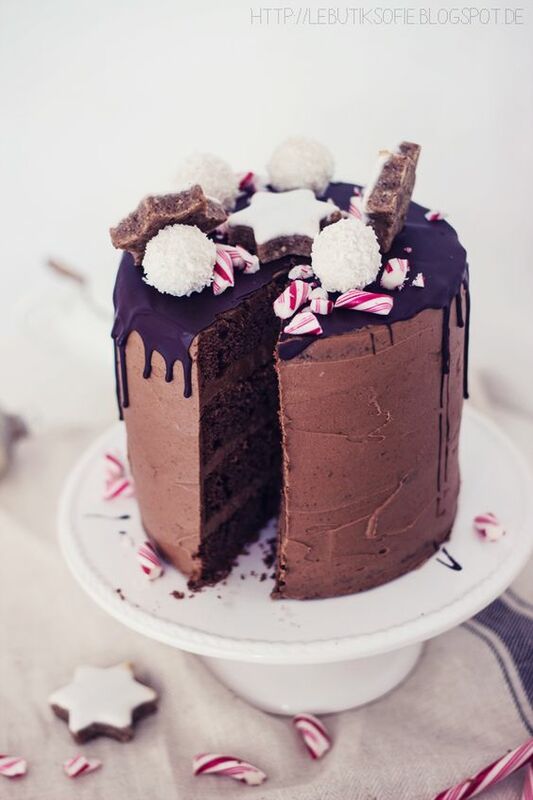 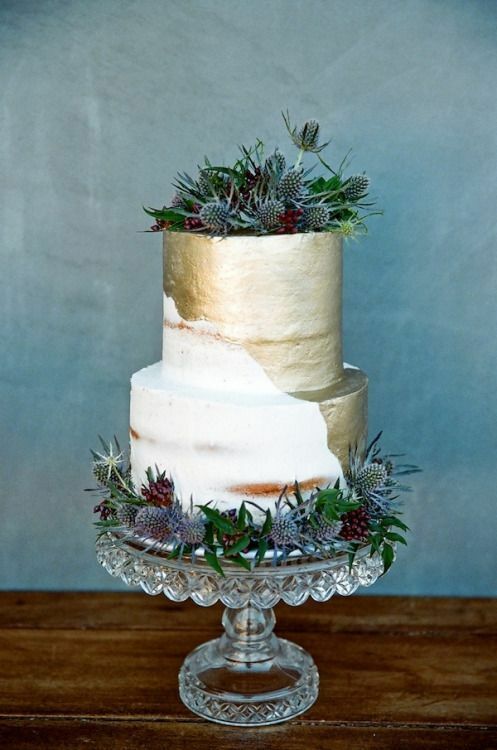 Today we are sharing the trendiest wedding cake types and examples for winter weddings. 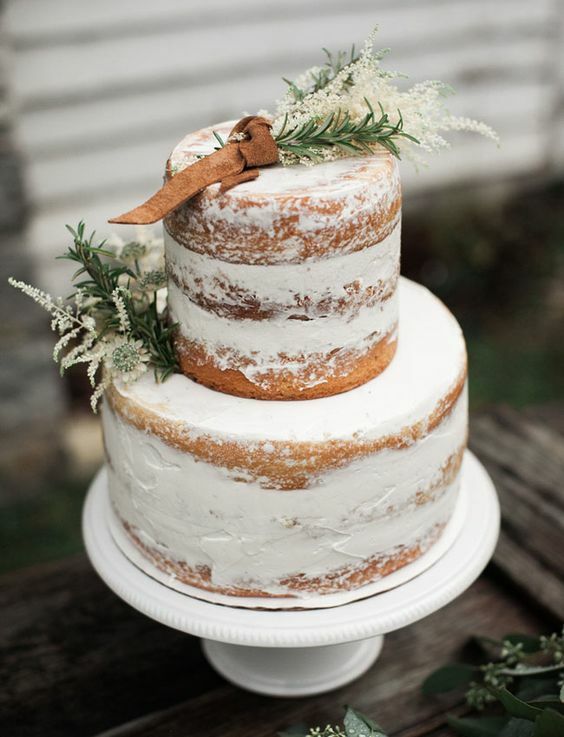 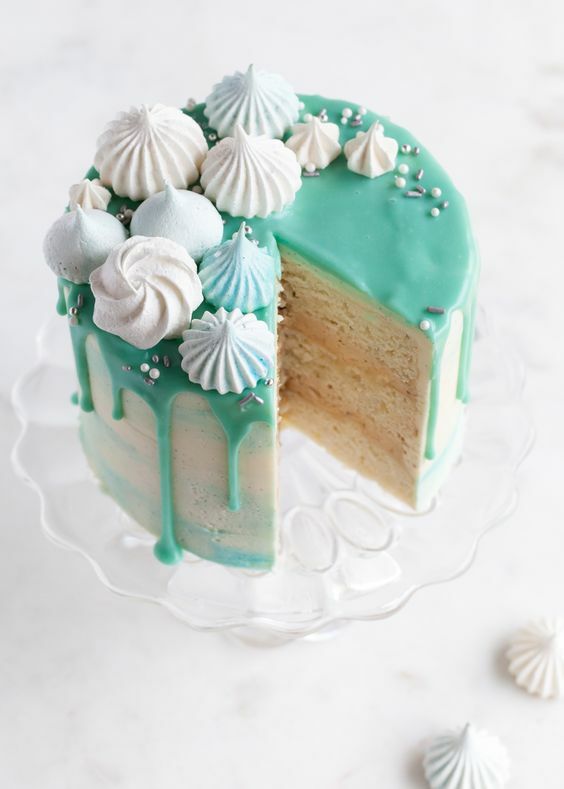 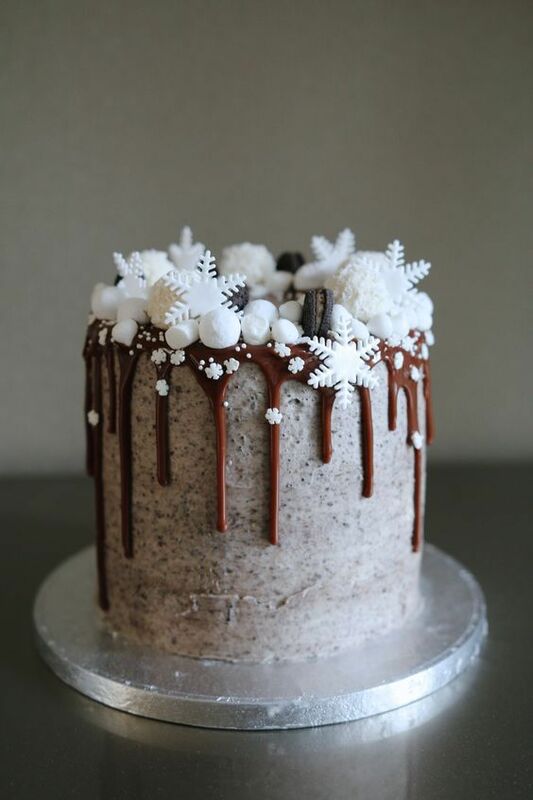 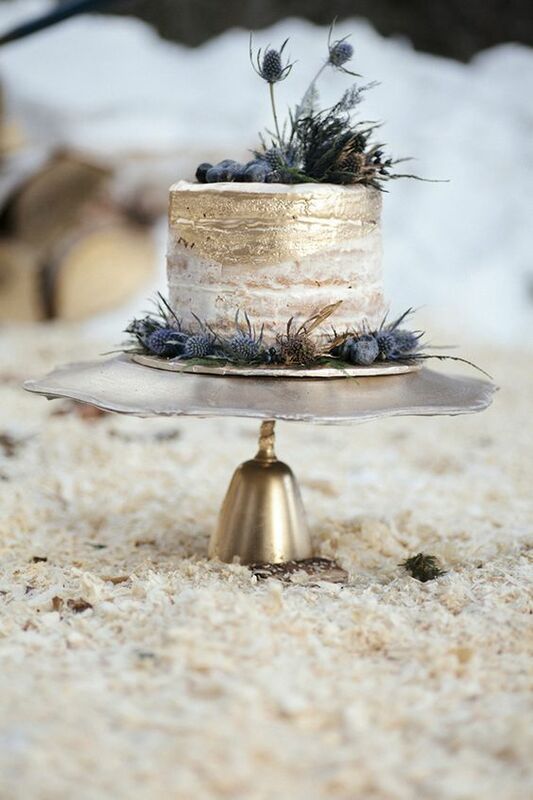 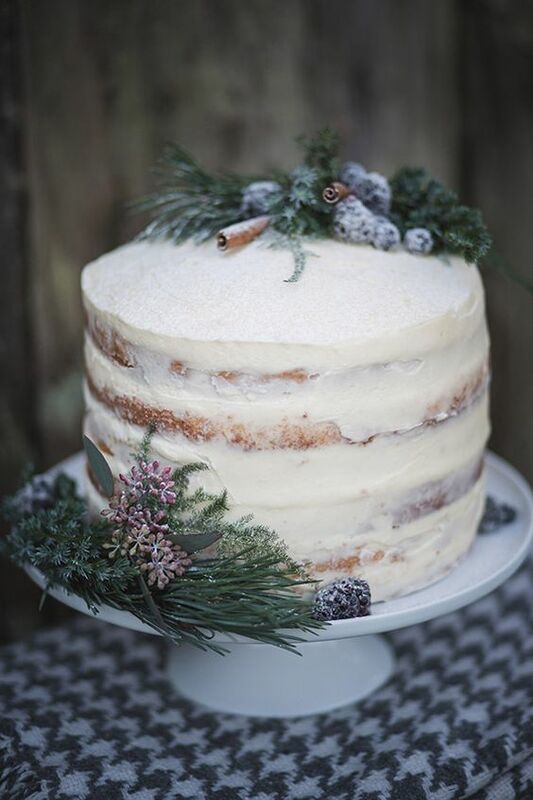 We’ve chosen the most popular ideas to realize for a winter celebration, and they are naked or semi-naked cakes, which are in trend for every type of wedding, metallic cakes that have a necessary sparkly touch for winter, especially for holiday weddings, and drip wedding cakes that seem to have conquered the wedding world. 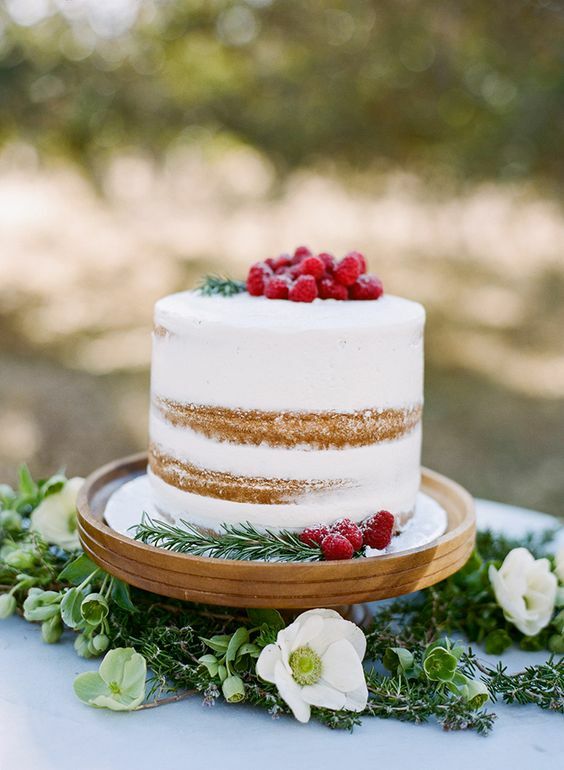 Naked and semi naked wedding cakes became a huge trend several years ago and they are here to stay. 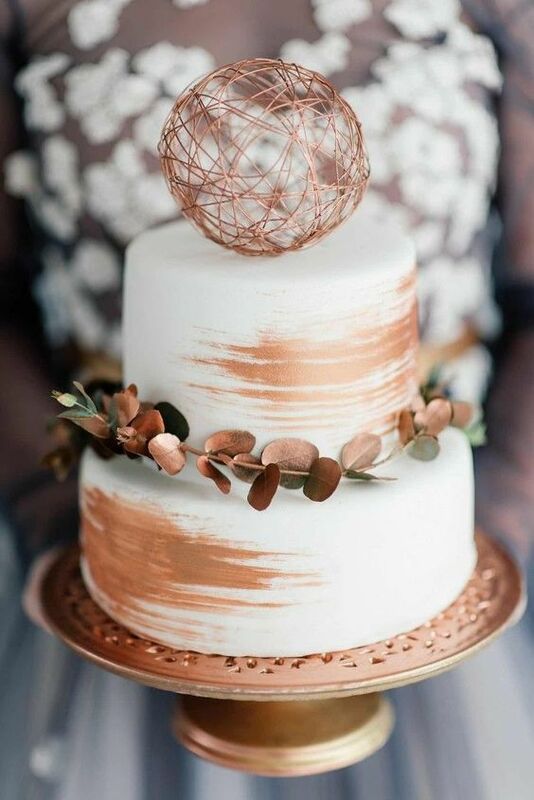 More and more couples choose such cakes for their weddings in spite of wedding themes and styles they have because a naked wedding cake looks incredibly yummy. 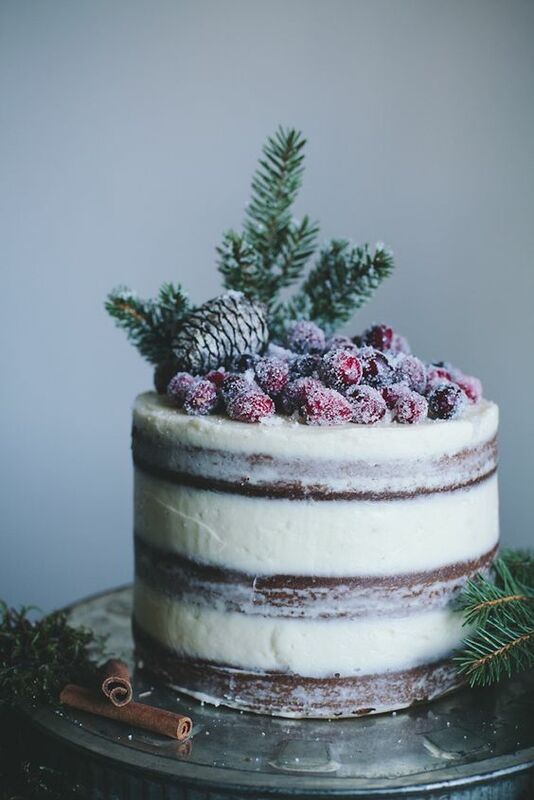 If you want such a piece, don’t forget that it should be simple, top it with herbs, sugared berries, evergreens and pinecones to give it a winter feel. 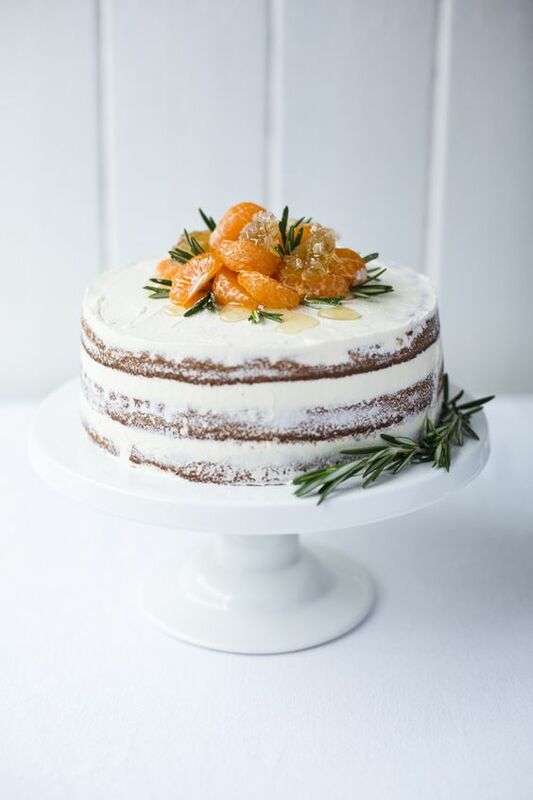 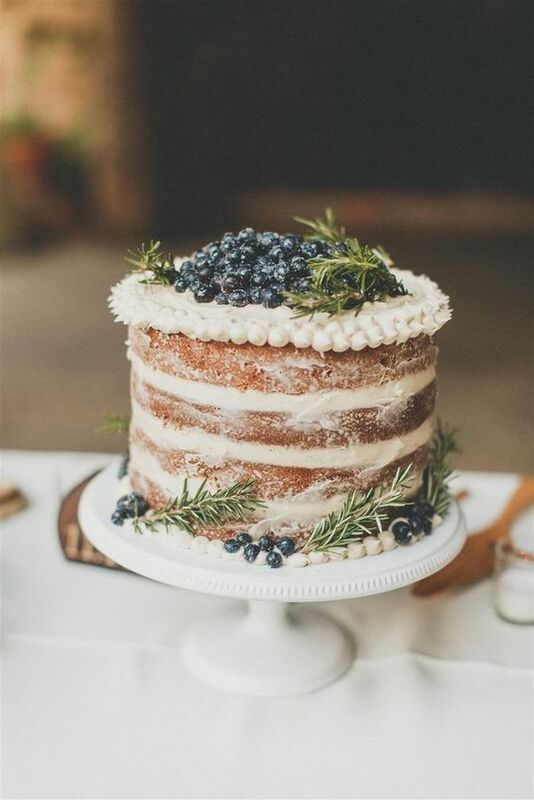 Add cinnamon sticks and fresh citrus slices for a gorgeous winter aroma, and such a cake will be a perfect one for any kind of wedding with rustic touches. 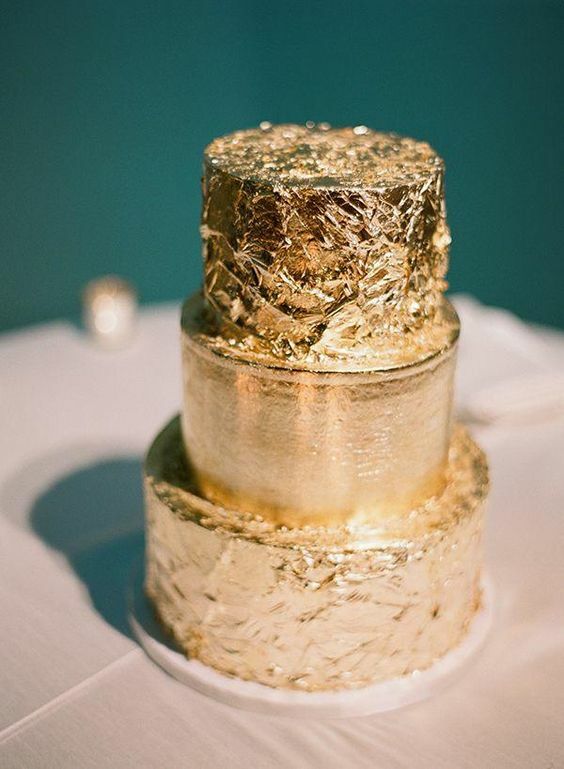 A metallic wedding cake is a chic idea for any wedding but especially for glam and art deco ones, and such themes are often chosen for New Year’s Eve weddings. 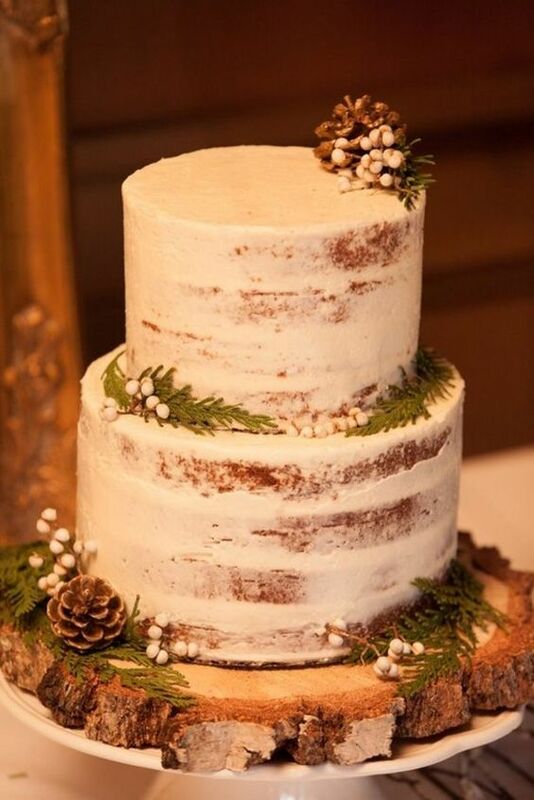 Even if not, you can always rock such a cake for your winter big day to add a sparkly touch to it. 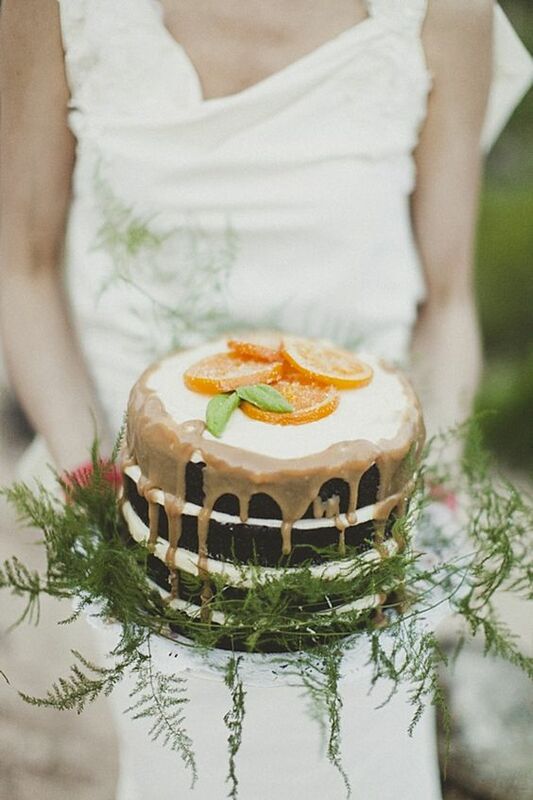 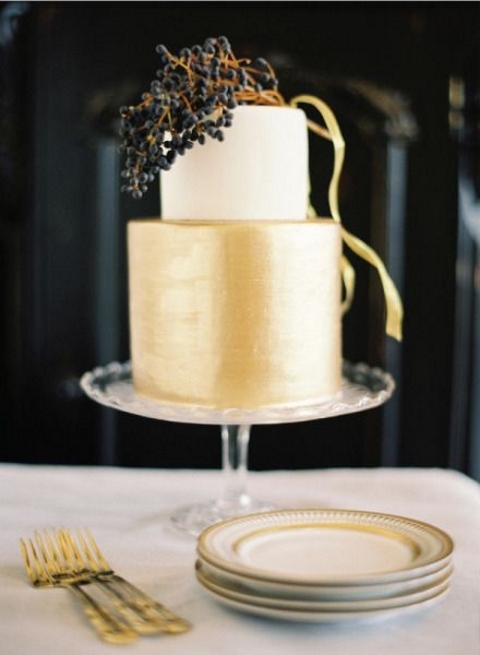 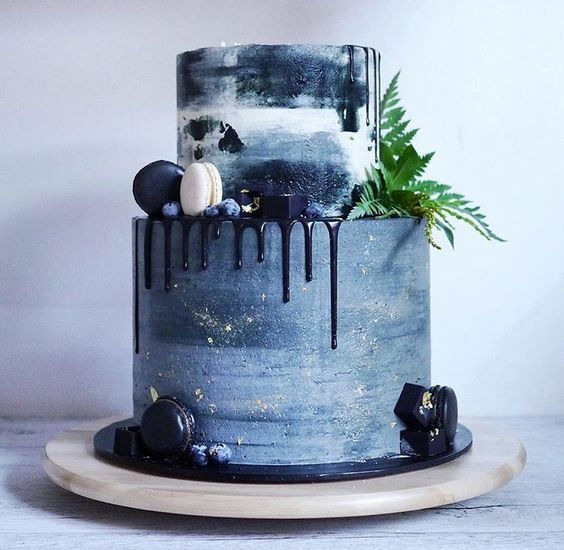 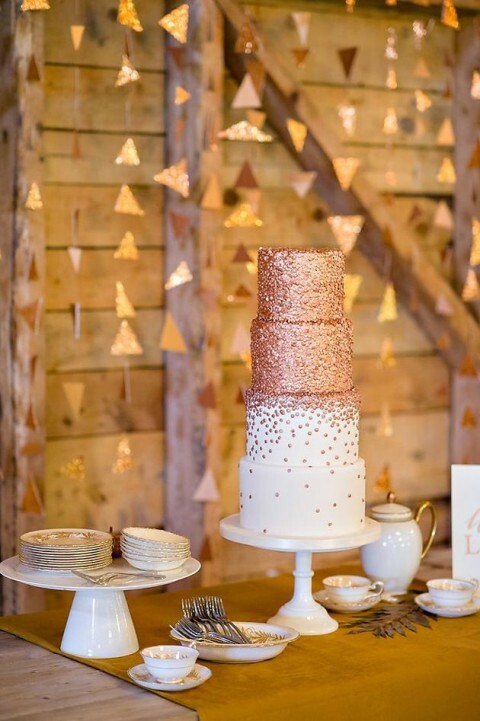 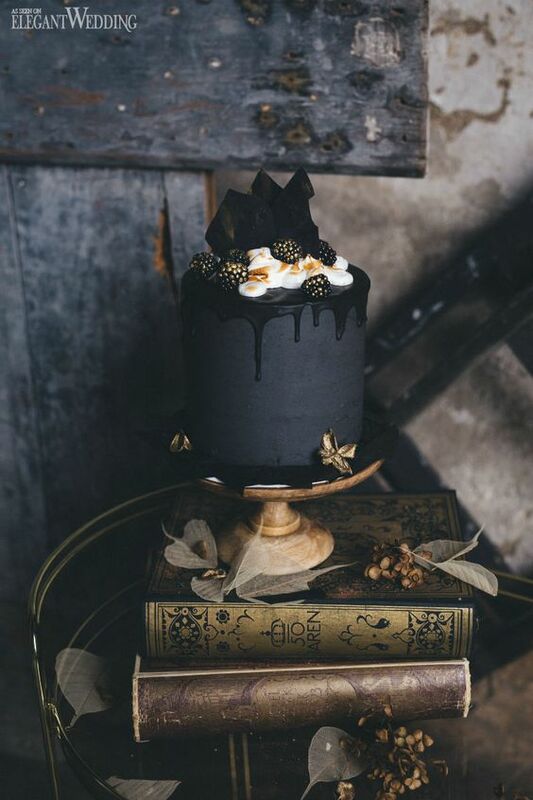 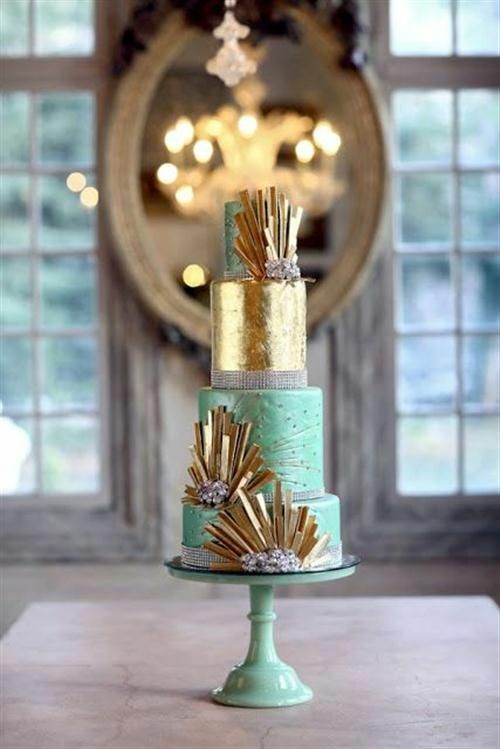 Rock gold and copper leaf, they are the trendiest now, and the cake can be partly naked to blend two trends in one. 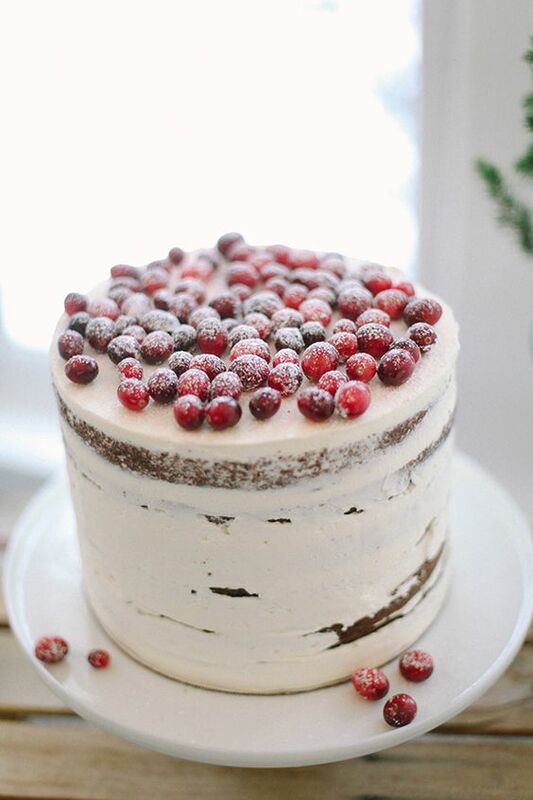 Glitter is also welcome, and as a topper you can choose berries, flowers and evergreens. 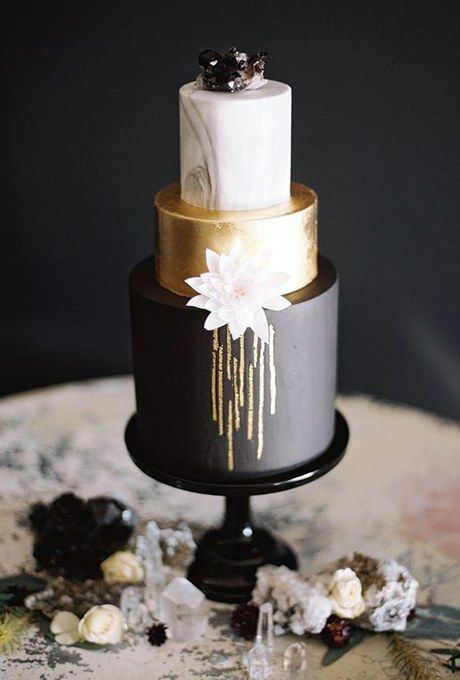 Drip wedding cakes look super yummy, whether they are naked, semi naked ones or not, this is a guarantee of a super delicious looking cake. 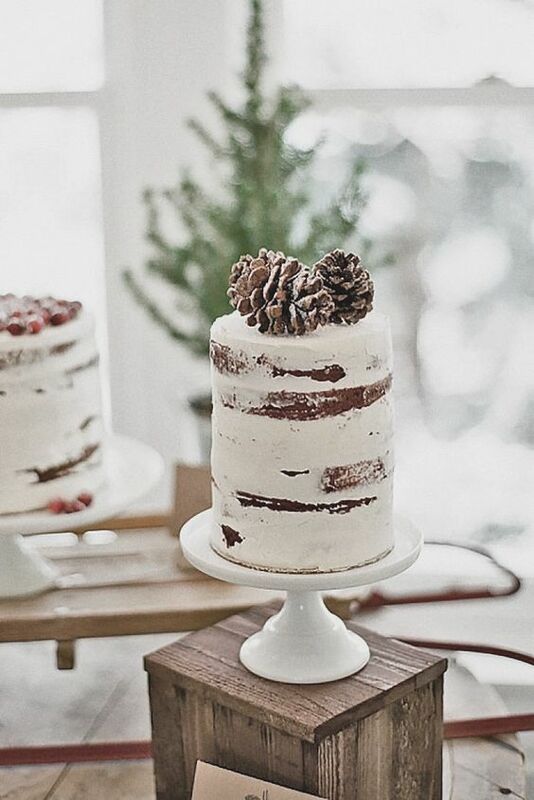 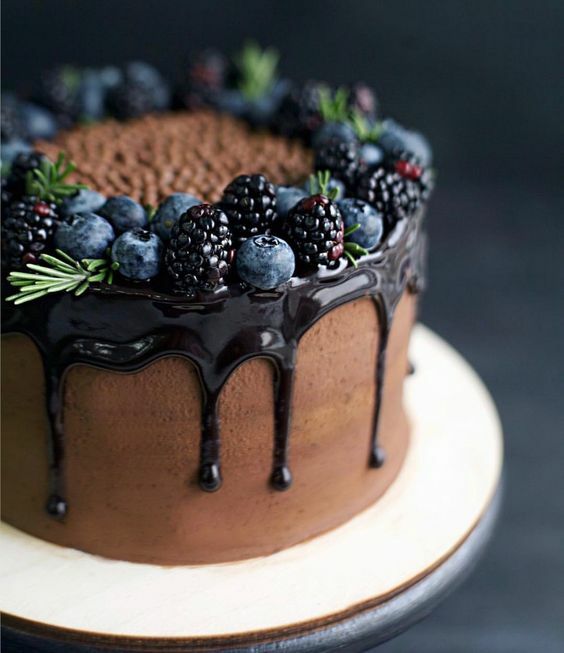 To make your drip wedding cake more winter-like, you can go for a naked wedding cake topped with berries, pinecones, evergreens and add caramel or chocolate dripping. 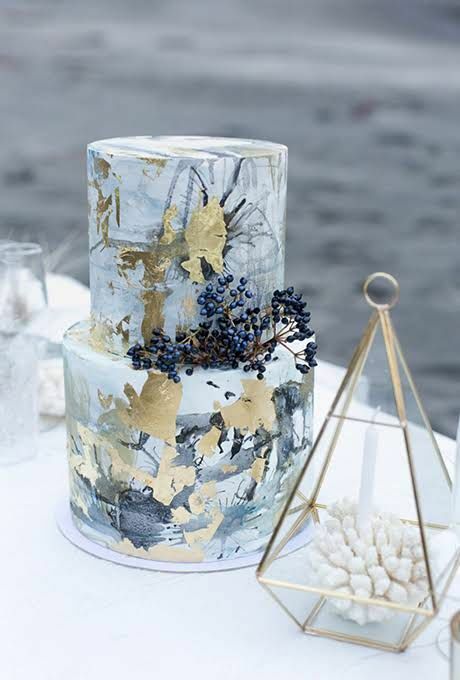 If you are having a glam wedding, you can order a glam drip wedding cake – a watercolor or matte one, with cool dripping and some winter toppings.